In 2005, my first professionally published novel hit stores in Canada, the US, Australia, and New Zealand. Rancour was meant to be a four-book series, with the second out in 2007, the next 2009, and the final 2011. Rancour sold out its first print run within the first two years, and left its prequel, Pyre, to keep the series alive. Rancour was in limbo for the next four years, until 2011 when the second run was finally printed. Before the third book was released, I severed ties with the publisher due to conflicts similar to these. Publishing can be a minefield of hopes and dreams up against business decisions and broken deals. The Rancour Chronicles, now titled, RANCOR CHRONICLES, is being released in 2018 and 2019. It’s hard to believe it’s been thirteen years since this book first made its appearance. Rancor: Vampyre Hunter can be purchased on Amazon now in either paperback or Kindle format. Also on iBooks, Kobo, Nook, or Angus and Robertson by following this link. Pyre: Vampyre Defender, Renegade: Vampyre Scourge, and Turning: Rise of the Wulfsign, will all be released in June of 2019. 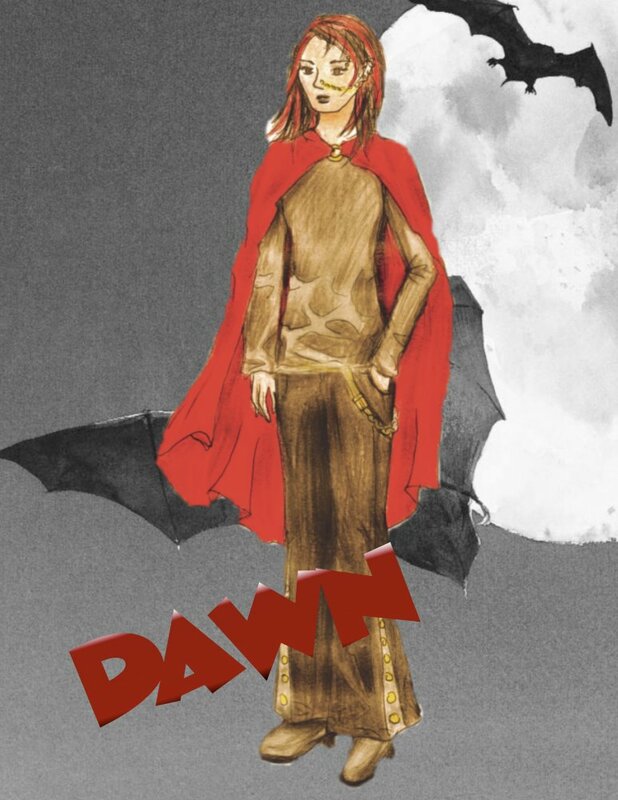 Well, I haven’t mentioned Dawn in quite awhile as I’ve been waiting for the first set of edits to happen. I got them today, which means I’ll be very busy over the next few months. While the comments weren’t as numerous as I thought they’d be, there was one big one – mainly rewrite the entire ending. This means it’s time to see the story with fresh eyes, and leave the “artist” at home. It’s now product, and it needs to be tweaked so that other readers, not just myself, can understand and enjoy it. If all goes well, Dawn will be cast out into the world August 2009 – alongside a new, improved Rancour. Almost forgot about the Reaper news! My book will be a prop in the TV series Reaper, shot here in Vancouver. I’ll let you all know what episode and when it airs! UPDATED: Rancour can be seen in season one, episode twelve, about 38 mins into the program.That’s Jessica Stroup “reading” Rancour!